The IDF announces a widespread campaign on “terror targets” and begins bombing the Gaza Strip, preparing for a ground operation. This comes after the head of Hamas’ military wing Ahmed Jabari was killed in an Israeli airstrike. The operation, called “Pillar of Defense”, has been launched by the Israel military. Many of the buildings in downtown Gaza City are on fire after being attacked by Israeli warplanes, RT’s Arabic correspondent Saed Swerky reports on Twitter. The IDF says all options are on the table in Gaza, including a ground operation. Israeli warships have struck "terror sites" in the Gaza Strip, the military forces confirmed. “Today we sent a clear message to Hamas and other terrorist organizations, and if it becomes necessary we are prepared to expand the operation,” Israeli Prime Minister Benjamin Netanyahu said in a televised address on Wednesday. ­IDF spokesperson Avital Leibovich told RT it is Hamas which is to blame for civilian deaths in the conflict. The country’s Defense Minister Ehud Barak declared a special situation in all Israeli territory, covering the area up to a radius of 40 kilometers around the Gaza Strip, the Jerusalem Post said. The minister said that Israel is just at the start of the action, but in the long term, the operation will restore peace. Israel has started emergency call up of reservists, while saying they are preparing for a ground invasion of Gaza, RT`s Tom Barton reports from Israel. The country's Security Council has authorized the IDF to call on reservists and extend the Gaza operation if necessary. The strikes caused extensive damage to the long-range missile capabilities and underground weapons storage facilities, the IDF said on Twitter. The Gaza Education Ministry has announced a suspension of study at Gaza schools and universities due to heavy fire by Israel. 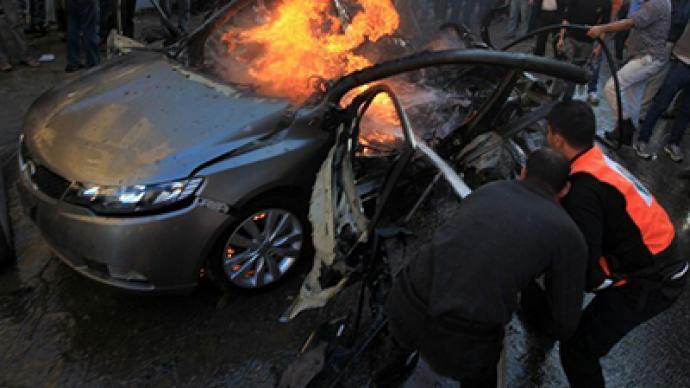 A large explosion occurred near home of Hamas leader, Mahmoud Zahar, Al Arabiya reported. 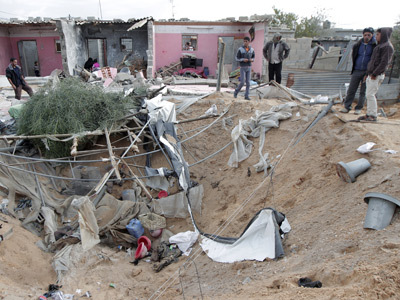 The death toll from the strikes has risen to 15, with at least 100 wounded, Gaza`s health minister said. Jabari was traveling in his vehicle in Gaza City when his car was struck, AP reports, citing witnesses. Reports say Jabari, his son and three other people were killed in the strike. An Israeli strike also targeted Raad Atar, another senior Hamas military wing commander, but he survived, Israeli Ynet reports. The assassination has "opened the gates of hell," the Ezzedine al-Qassam Brigades, the armed wing of Hamas, were quoted by AFP as saying. The militants vowed to "continue the path of resistance." The IDF stated on its website that it has launched a "widespread campaign on terror sites and operatives in the Gaza Strip" and Jabari was its first target. 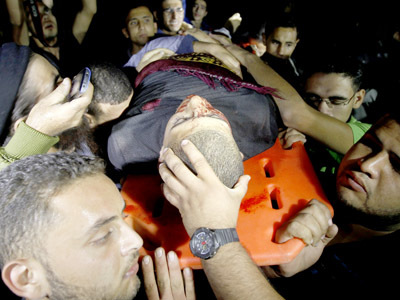 He's the highest ranking Hamas official to be killed since 2009, when Israel conducted ground offensive against Gaza. “The purpose of this operation was to severely impair the command and control chain of the Hamas leadership, as well as its terrorist infrastructure. This was a surgical operation in cooperation with the Israeli Security Agency, that was implemented on the basis of concrete intelligence and using advanced capabilities,” the statement said. The crackdown follows the recent escalation of violence in the region. 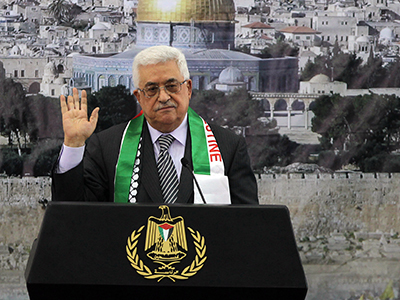 The conflict broke out last week when Palestinian militants attacked at an Israeli military jeep. Israel responded with retaliatory attacks, to which the Gaza Strip replied with heavy rocket fire at southern Israel. Jabari is the most senior Hamas official to be killed since Operation Cast Lead in Gaza four years ago. He is believed to be behind the notorious abduction and detention of Israeli soldier Gilad Shalit, who was held hostage for more than four years until being released last year as part of a hostage swap deal.